The Sukhoi-30MKI fighter swept low and fast over the Punjab landscape, heading for the Indian Air Force (IAF) base at Bhatinda. It had completed a simulated combat mission, in which fighter controllers had directed it from an Airborne Warning and Control System (AWACS) --- a flying command centre inside a giant IL-78 aircraft that controls air operations from 33,000 feet. Now Bhatinda air base had been ordered to “recover” the fighter, i.e. guide it back to base and facilitate its landing. This unfolded during the validation on Tuesday of a new, state-of-the-art airfield system set up at Bhatinda under the “Modernisation of Airfield Infrastructure” (MAFI) project. This involves modernising 67 military airfields, to let the IAF operate in weather and visibility conditions far more restrictive than what is possible today. 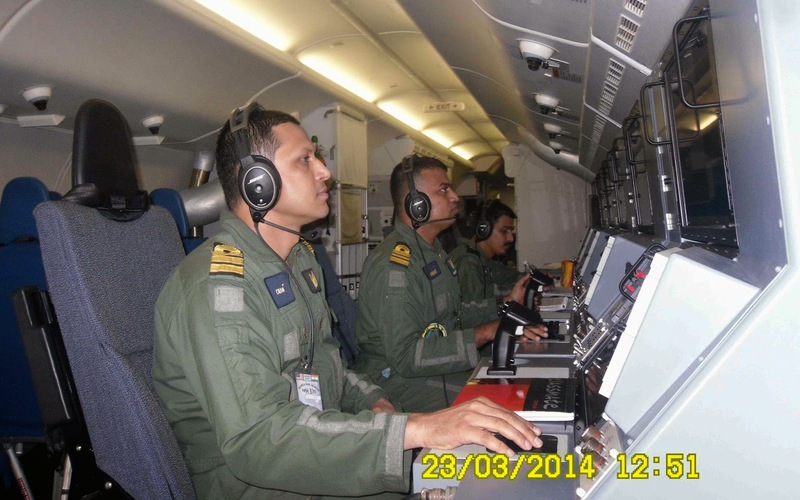 As the AWACS directed the Su-30MKI to head for Bhatinda, an alert was flashed to the airfield in secure digital code. With the fighter 300 kilometres away, Bhatinda switched on a DVOR --- Doppler Very High Frequency Omni-directional Radio Range --- a powerful radio beacon to guide the fighter home. Ten minutes later, with the Su-30MKI now just 30 kilometres away, Bhatinda switched on its new Category II Instrument Landing System (ILS). When fog or smoke obscures the runway, a “localiser” generated by the ILS lets the pilot electronically aligns his aircraft with the runway centre. Simultaneously, a “glide path” is generated, an electronic highway that the pilot can ride down at a steady rate of descent, until he can see the runway. The Su-30MKI descended till its wheels touched the Bhatinda runway. Mission accomplished; the MAFI instrumentation worked perfectly. Without slowing down, the fighter lifted off and headed back to its real base. Bhatinda is MAFI’s pilot project. By end-2016, 30 IAF and navy air bases, including 8 along the Sino-Indian border, will have been modernised to a level where aircraft can take off and land in visibility as low as 300 metres. This could generate crucial air support for ground forces battling in bad weather conditions. The Rs 2,500 crore MAFI project was globally tendered, but won by an Indian company, Tata Power (Strategic Electronics Division). Only Delhi provides better facilities than this --- a single runway has Cat III ILS that guides aircraft in to land in zero visibility. The MAFI upgrade will be good news also for commercial air operations --- almost 30 IAF and navy air bases are used by commercial fights, including Chandigarh, Goa, Leh and Srinagar. “MAFI would substantially improve all–weather capability, aid the civil aircraft that operate from the joint–user aerodromes, enhance aerospace safety and in the process aid growth of the aviation sector in the country,” said IAF Vice Chief, Air Marshal RK Sharma, while commissioning the refurbished Bhatinda base. The IAF’s ability to conduct air operations safely in bad weather and visibility would be enhanced further by end-2019, when 37 more air bases (including two owned by the Ministry of Home Affairs) would have been upgraded to MAFI standards. The pace of work is hindered, since only 5-6 operational air force bases can be out of action at any give time. When work on those is completed, it begins on a fresh batch. The IAF’s and navy’s newer aircraft --- C-130J Super Hercules, C-17 Globemaster III, Sukhoi-30MKI, MiG-29K and the Rafale (when it enters service) would utilize the full potential of MAFI. Older aircraft like the MiG-21s don’t have on-board electronics needed for utilising MAFI instrumentation. Electronic security is greatly improved with MAFI. A high degree of automation over digital networks reduces insecure voice transmissions. All electronics are activated only when launching or recovering aircraft, and can be switched off thereafter at the push of a button. As a backup for when navigational aids fail, MAFI caters for a Category II airfield lighting system. 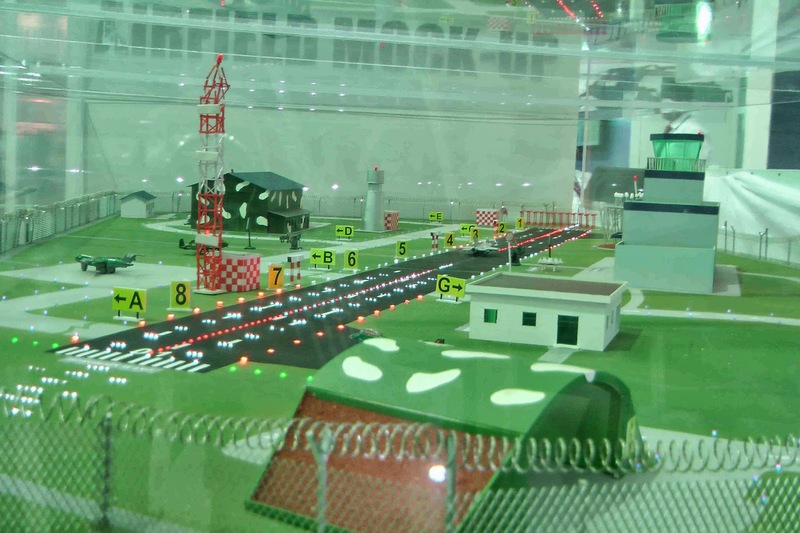 This deploys runway lighting in a particular pattern that guides aircraft to the touchdown point. MAFI also provides two 750 KVA generators that can take on the entire load of the electrical and electronic equipment in the event of a power failure. While much of the airfield instrumentation is commercial, MAFI provides military air bases with a tactical air navigation (TACAN) system that is compatible only with military aircraft. An Indian Air Force (IAF) C-130J Super Hercules transport aircraft, recently acquired from the United States, crashed near Gwalior on Friday, killing all five people on board --- three crew-members (pilot, co-pilot and loadmaster) and two more IAF officers. So far there is no indication of what caused the crash in easy terrain and clear weather of an almost brand new, four-engine aircraft. In 2010, the IAF bought six Super Hercules for $962.7 million (Rs 5,750 crore). A subsequent contract has been signed for six more, which will start being delivered in 2016. The Super Hercules is the world’s most survivable combat aircraft. Unlike fighter aircraft that zoom over their target, release their weapons load and return home at a thousand kilometres an hour, the Super Hercules transports soldiers to the heart of the land battle. Flying low, in pitch darkness to evade radar and visual detection, the Super Hercules uses satellite navigation to land without lights on a few hundred metres of unpaved mud in the tactical battle area. The 64 fully kitted Special Forces soldiers it carries quickly emerge to strike strategic objectives like unsecured nuclear weapons, terrorist leaders or key enemy headquarters. Nor is the Super Hercules sensitive to rough weather. A variant of this aircraft is flown by the Hurricane Hunters --- the US Air Force’s legendary 53rd Weather Reconnaissance squadron that flies into typhoons and hurricanes to gather data about how such storms form. The Super Hercules was an integral part of India’s contingency plans for Cyclone Phailin last October, during the Uttarakhand floods, and the ongoing search for Malaysian Airways Flight MH370. The C-130J Super Hercules is a significantly improved version of the venerated C-130 Hercules, which has been in continuous production longer than any other military aircraft. 70 countries, including Pakistan, operate the C-130. In 1988, Pakistani president, General Zia-ul-Haq died in a C-130 Hercules crash that was believed to be an assassination that involved disabling the crew in mid-flight. 16 air forces worldwide that operate almost 300 Super Hercules, have had only one fatal accident in over a million flight hours, including years of intense combat in Iraq and Afghanistan. The lone accident was not due to technical failure; a Norwegian C-130J crashed into a mountain in 2012. 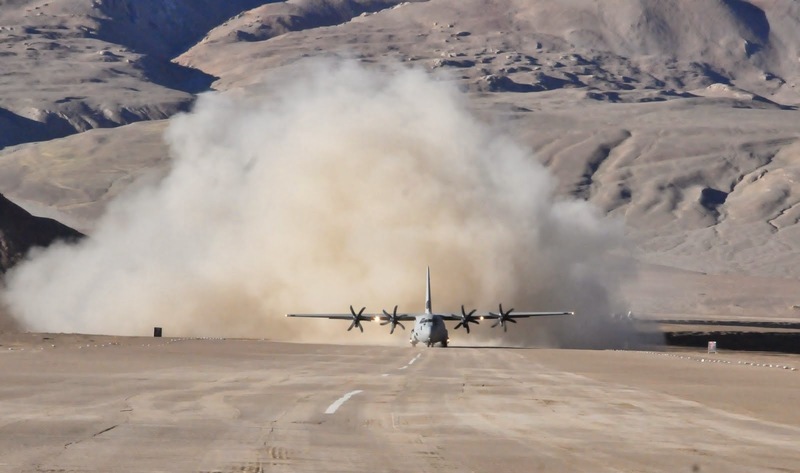 Last August, when New Delhi wanted to send a message to Beijing about India’s ownership of a strategic salient near the Karakoram Pass at India’s northern tip, the IAF landed a Super Hercules on the mud-surfaced, 16,600 feet-high Daulat Beg Oldie airstrip. 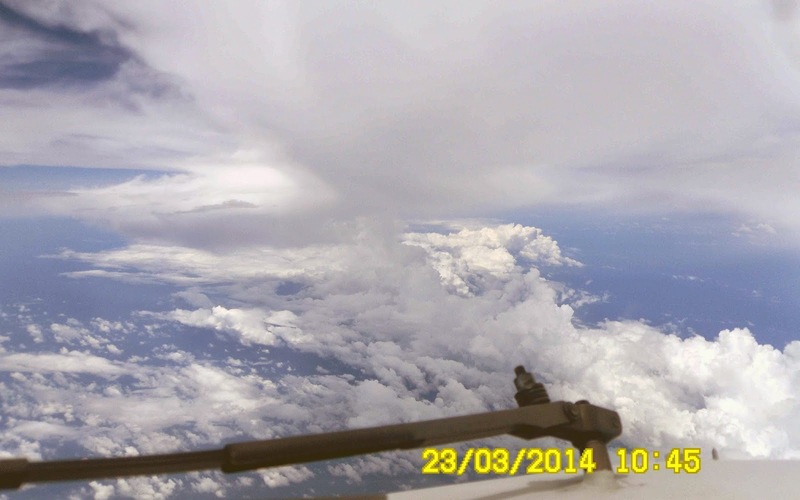 Earlier, in May 2012, when the IAF wanted to display its strategic reach, a Super Hercules flew a six-hour, non-stop mission from Delhi to the Andaman & Nicobar Islands. Given the widespread usage of the C-130J, the IAF is not alone in wondering what caused the accident. The manufacturers of the Super Hercules, US giant Lockheed Martin Aerospace Ltd, is ready to assist in the accident investigation. Sources tell Business Standard that the IAF has not yet requested for technical assistance, but Lockheed Martin specialists will be made available whenever it does. “As a manufacturer, we would certainly like to know what happened. There are users of the Super Hercules all over the world who would also be keen,” says a Lockheed Martin official. The US embassy in New Delhi has conveyed its condolences to the IAF, Business Standard has learnt. In what amounts to the effective ending of a decade-old ceasefire between India and Pakistan, since January 2013 violence has flared along the de facto border – the Line of Control (LoC) – between the two in the state of Jammu and Kashmir. With more than 200,000 heavily armed soldiers from two nuclear-armed countries on hair-trigger alert in LoC picquets that are sometimes just metres apart, the potential for escalation can hardly be overestimated. New Delhi, for its part, believes that Pakistan has undermined the ceasefire – agreed in November 2003 between the two sides – in an attempt to revitalise armed separatism in the state. The aim, it believes, is to tie India down and weaken its focus on Afghanistan at a critical juncture, given the imminent withdrawal of US and NATO troops. And with India distracted in Kashmir, a resurgent, Pakistani-supported Taliban would give Islamabad proxy control over large chunks of Afghanistan. This, in turn, would keep the lid on the border dispute between Pakistan and Afghanistan, and on any demands for ‘Pashtunistan’ – a homeland for Pashtun tribes which straddle the current border. Furthermore, a ‘Talibanised’ Afghanistan would also provide Pakistan with ‘strategic depth’ – a notion that seeks to compensate for the country’s limited geographical depth by making available the territory of Afghanistan in the event of a deep Indian wartime offensive. Policy-makers in New Delhi worry equally that a Taliban-imposed imperium in Afghanistan would free up hordes of Pakistani-controlled jihadi fighters, who could be redirected into Jammu and Kashmir. An active LoC would facilitate this by allowing jihadi fighters to infiltrate Kashmir. As such, it is clear that, from this Indian perspective, the Pakistan Army needed a flashpoint to provoke confrontation along the LoC – which duly came on 8 January 2013, when two Indian soldiers patrolling the LoC near the border town of Poonch were killed and mutilated, and one of their severed heads taken away by what India alleges was a raiding party from the Pakistan Army. Islamabad strenuously denies that its troops were involved, instead accusing India of having shot dead three Pakistani soldiers. Amidst such accusations and counter-accusations, firing broke out between local picquets, spread to other sectors, and subsequently drew in heavier weapons including mortars and artillery. In turn, Indian outrage at the beheading led New Delhi to stall the peace dialogue between the two sides, just as it was sputtering into life after a long hiatus caused by the 2008 terror attack in Mumbai. The talks – comprising several components addressing specific issues, such as Kashmir, Siachen, terrorism, and trade and commerce – have made limited progress since they remain hostage to political disruption, with New Delhi prone to suspend them in response to any Pakistani provocation. Just as a resumption of the dialogue seemed possible in August 2013, for example, five more Indian soldiers were killed in another cross-border raid near Poonch. Relations plummeted again and firing along the LoC intensified. By the bloody standards of the LoC, however, the current firing levels are modest. Prior to the 2003 ceasefire, Indian and Pakistani posts on the LoC exchanged fire more frequently in a week than they now do in a year. Yet there is concern at the recent intensification: according to figures quoted in India’s parliament, Pakistan violated the LoC ceasefire forty-four times in 2010, fifty-one times in 2011, ninety-three times in 2012 and 199 times last year. Predictably denying any violation, Islamabad charges India with violating the ceasefire twenty, sixty-seven, eighty-six and 230 times in the same years. The 776-km LoC that has witnessed such exchanges is but one section of the otherwise largely stable 3,323-km India–Pakistan border, drawn in part by Britain in 1947 and shaped further by conflict between India and Pakistan in the wars of 1947–48, 1965 and 1971, which saw each side retaining the territory it had captured. The front line was frozen in the Simla Agreement that followed the 1971 war, when India and Pakistan agreed to respect the current position and to ‘refrain from the use of force in violation of this line’. In December 1972, military commanders from both sides jointly delineated the LoC on a mosaic of nineteen maps, and it has remained unchanged since then. That it has acquired the sanctity of an international border became evident in 1999, when New Delhi responded to Pakistan’s occupation of territory in the Kargil district – on the Indian side of the LoC – with unrestricted (though localised) force, including air power, in what became known as the Kargil War. Recent months have seen initiatives to prevent tensions along the LoC from spiralling out of control. The two armies’ directors general of military operations discussed the issue twice by phone in October, and met face-to-face on Christmas Eve 2013 at the Wagah-Attari border – the first meeting between directors general since the Kargil War. The Indian government reports that this has significantly reduced ceasefire violations. Even so, New Delhi believes that Kashmir has now returned to the top of Pakistan’s agenda. On 26 January, India’s Republic Day, which Kashmiri separatists mark as a day of protest, Pakistan allowed Maulana Masood Azhar, the virulently anti-Indian head of the banned jihadi group Jaish-e-Mohammed, to address a separatist rally in Muzaffarabad, the capital of Pakistani-held Kashmir. Speaking by phone from Bahawalpur, his hometown in Punjab, Azhar urged renewed jihad against India. Islamabad, apparently embarrassed, announced that Azhar would not address any more rallies, but Indian policy-makers remain convinced that Pakistan is dusting off its Kashmiri jihad machine. The Indian Army, therefore, is bracing for a renewed counter-infiltration effort on the LoC. After the Kargil War, India built a formidable border fence, which bristles with landmines, floodlights, electronic and seismic sensors, cameras and night-vision devices. To tackle infiltrators who manage to cross the fence, troops further behind are deployed in a layered, counter-infiltration grid – a gauntlet that militants must run before reaching the relative safety of populated areas in the hinterland, where they are sheltered by established insurgent networks and, often, a supportive population. To target the militants in this difficult environment, the Indian Army obtains legal cover from the much-reviled Armed Forces (Special Powers) Act (AFSPA), which protects soldiers from prosecution for acts carried out whilst on duty. The alienation of the Kashmiri population from India is fundamentally political, but feeds off the AFSPA, which has become an emotive symbol of New Delhi’s high-handedness. Indeed, notwithstanding the success of Indian troops in decimating the armed insurgency – current intelligence estimates put militant numbers in Kashmir at 150–200, down from 3,000 in the 1990s – the government has failed to consolidate this through political outreach. Blasé New Delhi policy-makers view Kashmir as a security problem rather than a political one, and do not acknowledge the seething resentment in the area, especially amongst a new generation of secessionists, whose anger is directed both at New Delhi and at Kashmiri leaders on both sides of the LoC, who have promised independence for a quarter of a century but delivered only a fearful, militarised existence and tens of thousands of dead Kashmiris. If Indian policy-makers have failed to gauge the situation in Kashmir accurately, Pakistan is equally oblivious to the popular disenchantment there with armed militancy. The new form of Kashmiri resistance is public protest, which came into its own during three summers of street violence between 2008 and 2010, when dozens of unarmed protesters were shot by Indian police and paramilitary forces clearly unprepared for this form of defiance. During those years, a new generation of Kashmiri leaders developed street protests into a potent weapon against a democratic and image-conscious India. A reinvigoration of Pakistan-fomented armed militancy would seem to them like a return to the mistakes of the past. Pakistan would be equally mistaken if it believed that it effectively controlled the Taliban; indeed, there is a growing realisation that it is an unreliable and wilful proxy and that other Afghan groups must be cultivated as well. The Taliban is increasingly resentful of Pakistan’s tight control and irksome demands, which the group views as serving pan-Islamic, or Pakistani, agendas rather than a nationalist Afghan goal. Complicating Pakistan’s problems is a splintered and isolated Taliban leadership that wields limited influence over a fragmented rank and file exhibiting a geographical and generational disconnect with its leaders. Without centralised direction, local Taliban commanders increasingly follow their own path, often at variance with one another. This has been evident in the reconciliation process in Afghanistan, which has seen Taliban leaders such as Agha Jan Mutasim engage with the Afghan government’s High Peace Council, while other Taliban spokespersons repudiate the dialogue. In re-establishing control over their riven organisation, Taliban leaders cannot be seen as puppets of the reviled Pakistani government and will necessarily present themselves as proud Afghan nationalists who have outlasted and outfought yet another superpower. Pakistan’s options are further circumscribed by its home-grown Taliban, the Tehrik-e-Taliban Pakistan (TTP). Islamabad’s wish to reach political accommodation with jihadi groups is eroding with each new TTP outrage, such as the execution in February of twenty-three captured Pakistani paramilitary soldiers. Yet military operations in North Waziristan, the TTP’s tribal redoubt, seem certain to generate blowback across the Pakistani heartland, given the group’s close linkages with other extremist groups in the country and, indeed, with the Afghan Taliban. Given these dilemmas, it might seem breathtakingly ambitious for Pakistan’s leaders simultaneously to plan to expand the country’s influence into Afghanistan and to stir up a hornet’s nest for India in Kashmir. Yet Indian officials note that the Pakistani military and intelligence establishments have never lacked audacity; where they go wrong – as they did in sending tribal fighters into Kashmir in 1947 and 1965, and in infiltrating Kargil in 1999 – is in missing the strategic consequences of clever tactical ploys. If India is correct in surmising Islamabad’s intentions, it now seems poised to overreach itself yet again. For New Delhi, that is small consolation. While a substantial intensification of the armed insurgency in Kashmir appears unlikely, India might be forced onto the back foot by enhanced infiltration along the LoC. At the same time, within Kashmir, relatively minor incidents have the potential to flare into further widespread public protests. Yet, on the positive side, a more stable and confident government after India’s elections in May could provide a fillip to peace by initiating a credible political dialogue with Kashmiri separatists and revoking the AFSPA, overruling the military which would prefer it to remain in force throughout 2014. Either way, as the power struggle plays out in Afghanistan this year, tensions on the LoC look set to continue to ebb and flow. The Indian Air Force (IAF) continues its quest to hand Pilatus Aircraft Ltd of Switzerland a Rs 6,000 contract for 106 PC-7 Mark II basic trainer aircraft (BTA), over and above the 75 Pilatus trainers already bought for Rs 3,850 crore (Swiss Franc 557 million). Hindustan Aeronautics Ltd (HAL) is currently developing these 106 trainers in India, a project the IAF is sparing no effort to scuttle. A new IAF “Request for Information” (RFI) --- a pre-tender enquiry --- floated on the MoD website invites Indian companies to submit preliminary bids to supply the IAF with 106 PC-7 Mk II trainers, in partnership with Pilatus. This envisages the import of an unspecified number of BTAs ready built, with the remainder being assembled in India. In MoD’s procurement rulebook, this is termed a “Buy & Make (Indian)” acquisition. In floating this RFI, the IAF has openly defied the MoD. In 2009, while Okaying the acquisition of 181 trainers, Defence Minister AK Antony himself ruled that 106 trainers would be built in HAL under the “Make” category, while 75 would be imported. Since then, the IAF has repeatedly sought to subvert this decision. The MoD has confirmed to Business Standard that the 2009 decision to build 106 trainers in HAL, which was taken by the apex Defence Acquisition Council (DAC), remains valid. “This RFI is a preliminary inquiry that the IAF has sent out, presumably to enlighten itself. This doesn’t mean that an RfP (Request for Proposal, as a defence tender is called) will be issued”, said the MoD spokesperson. The IAF has consistently resisted HAL’s indigenous trainer --- the Hindustan Turbo Trainer-40 (HTT-40). As Business Standard reported (July 29, 2013, “Indian Air Force at war with Hindustan Aeronautics; wants to import, not build, a trainer”) former IAF boss, Air Chief Marshal NAK Browne, wrote personally to Antony, claiming that the HTT-40 would be costlier than the PC-7 Mk II. A cost analysis by this newspaper, however, suggested the HAL trainer would be much cheaper over its service life. The MoD did not accept the air chief’s request. 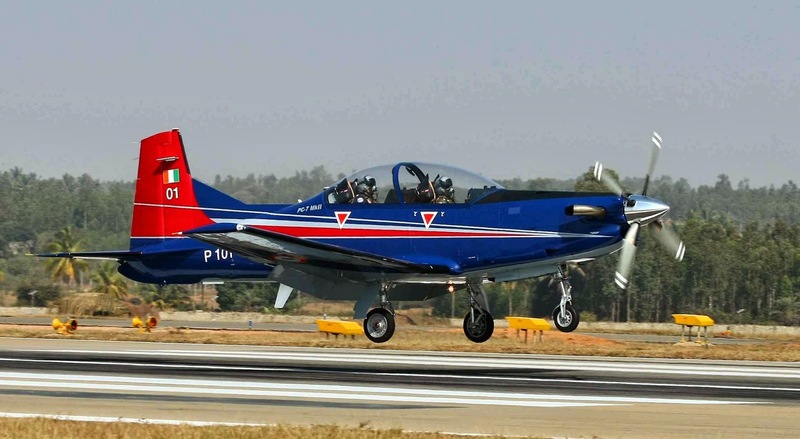 The IAF next asked HAL to scuttle its own BTA project and instead build the PC-7 Mk II trainer in Bangalore with Pilatus technology (October 14, 2013, “IAF to HAL: Build Swiss trainer aircraft, don’t develop your own”). HAL, which has worked steadily on the HTT-40, flatly rejected this proposition. Bizarrely, Air Chief Marshal Browne next suggested that the PC-7 Mk II be built in an IAF base repair depots (BRDs). Admitting that BRDs were meant only to maintain and overhaul aircraft and engines, he claimed last October that they could also assemble aircraft. The MoD simply ignored this suggestion, which was hastily rebutted by the IAF’s maintenance chief, Air Marshal P Kanakaraj. Now, with Air Chief Marshal Browne having retired and been cleared by the government to be an ambassador, reportedly to Finland, his successor, Air Chief Marshal Arup Raha, has proposed that Indian private companies build the PC-7 Mk II with Pilatus technology. Industry experts say there is little in this proposal for private Indian companies. With each BTA priced at about Rs 35 crore, the ten per cent profit margin from building 106 aircraft would be barely Rs 370 crore. This is small compensation for the costs and risks of a company’s first foray into aerospace manufacture. Meanwhile, HAL continues work on the HTT-40. With MoD funding blocked by the IAF, HAL has already committed Rs 137 crore of its own money; and stands ready to allocate another Rs 200 crore. On a recent visit to HAL, Business Standard was briefed that the design of structural components is done; assembly drawings will be done by April. A first flight is targeted for early 2015. “We had planned to build one flying prototype of the HTT-40 and one ground test specimen. Now, to speed up design and flight testing, HAL will build three flying prototypes and two ground test models,” says Prashantsingh Bhadoria, one of HAL’s talented young designers who is deputy head of the HTT-40 project. HAL designers are confident that, given their major role in developing the Tejas fighter; and the Sitara intermediate jet trainer (IJT) that is nearly complete, there is little doubt that the company will build a successful basic trainer. IAF planners know that the procurement cost of an aircraft is just one-fifth to one-tenth of the cost of operating it through its service life. For that reason, an indigenous aircraft is significantly cheaper in the long term than an overseas purchase, where the IAF remains dependent for spares, overhauls and upgrades on foreign vendors who invariably jack up prices after the initial sale. HAL designers say they are ensuring a high degree of commonality in parts and sub-systems between the HTT-40 and the IJT. This will reduce production costs and also ease inventory problems in training establishments. IAF pilots need three types of trainer aircraft. In Stage-1 training, rookie pilots learn basic flying on aircraft like the PC-7 Mk I, and the HTT-40. 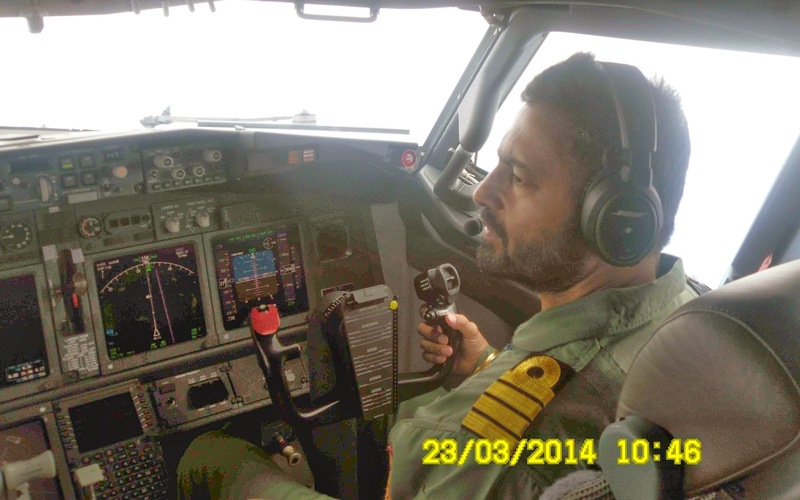 Stage-2 training involves more complex flying on aircraft like the Kiran Mark 1, or the Sitara IJT. Stage-3 training, which prepares pilots for occupying the cockpits of frontline IAF fighters, is done on Hawk advanced jet trainers, which are built in HAL. For decades, Indian expertise in designing and building aircraft has developed randomly, with isolated areas of excellence offset by large capability gaps in important fields. Now a new government body has begun coordinating the holistic development of the country’s aeronautical capability. Just as the Atomic Energy Commission oversees the field of nuclear energy, and the Space Commission coordinates India’s space programmes, many believe that an empowered Aeronautical Commission must coordinate and oversee the development of capabilities, facilities and skilled human resources needed to design and build aircraft, both military and commercial. While an Aeronautical Commission currently seems unlikely, the BK Chaturvedi Committee in 2012 recommended establishing an apex, multi-agency National Aeronautics Coordination Group (NACG), chaired by the Secretary (Defence Production). Functioning below the NACG would be the more hands-on and technology oriented Design & Development Management Board (DDMB). On Thursday, the DDMB held its first meeting in Bangalore. 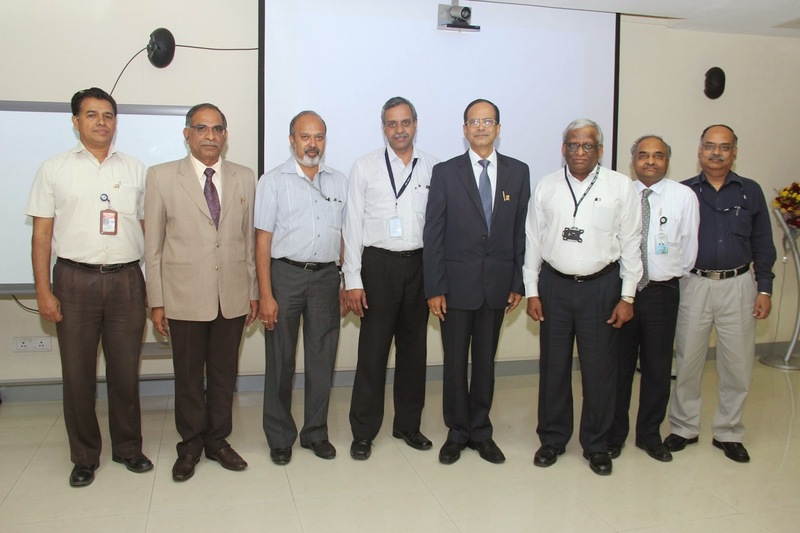 Headed by Dr RK Tyagi, Chairman of Hindustan Aeronautics Ltd (HAL), it included key officials from aerospace organisations like the Defence R&D Organisation (DRDO); National Aerospace Laboratory (NAL) and Bharat Electronics Ltd (BEL). Officials familiar with the meeting told Business Standard that discussions centred on the need to coordinate the R&D being conducted in different centres, since significant portions of it were overlapping and redundant. In the absence of coordination, laboratories are designing systems that have already been developed elsewhere, and are even in operational service. E.g. HAL has already fitted IFF (Identification Friend or Foe) systems in IAF fighters, which electronically differentiate enemy aircraft from our own fighters, and block friendly fire on the latter. Yet the DRDO is designing its own IFF system, as is a private company, Mahindra Telephonics. The DDMB also discussed the need to create R&D test facilities in India. Crucially needed are a high altitude test facility, and a flying test bed for aero engines. The DRDO currently uses test facilities in Russia, paying almost Rs 150 crore for packing, transporting and testing an engine there. Establishing a national test facility in India, which development agencies could pay to use, would allow aero engines to be developed more economically. 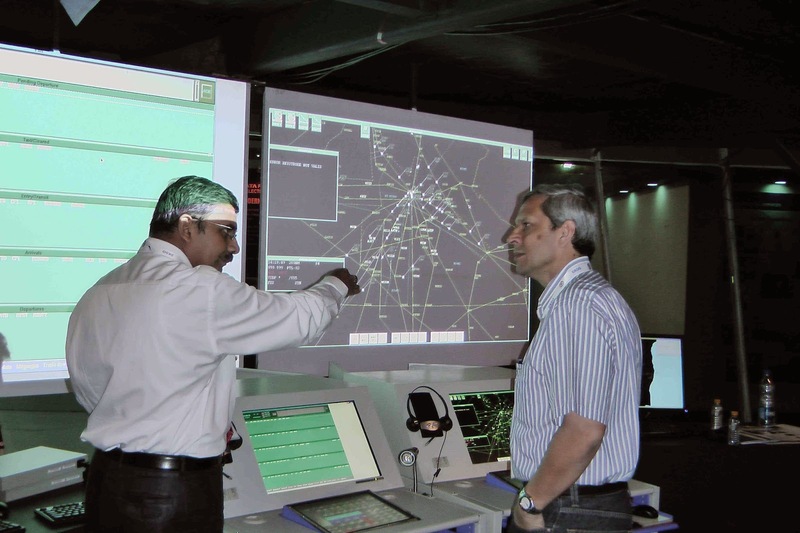 Another proposal involved setting up of a Flight Dynamics Simulation Centre to analyse flight regimes that India does not yet understand fully, such as the complex dynamics of stalls and spins. It was suggested that R&D institutions should combine forces to write the challenging software for these flight regimes, jointly establishing software teams, control law teams, and a simulator complex. “We need to have a clear road map to take on the challenges… (that) range from basic and applied research, involvement of academia, production, spotting and retaining talent,” said Tyagi, who heads the DDMB. Significantly, the DDMB brings together competing agencies that have had difficult relations in the past. The discordant rivalry between R&D agencies like DRDO and production agencies like HAL has been widely reported. Yet, participants from both those organisations told Business Standard that they were elated at the prospect of joining forces. “Planning and working together is something that has never happened before. We have always had energy; now, for the first time, we will also have synergy,” said a DDMB member. The initial structures currently set up could see change. There is dichotomy in placing both the NACG and DDMB under the MoD, while other ministries share responsibility for aerospace development. The government’s Allocation of Business Rules makes the Ministry of Civil Aviation (MoCA) responsible for developing commercial aircraft, a task the MoCA has not seemed inclined to take up. The project to develop a Regional Transport Aircraft (RTA) is being jointly pursued by NAL/HAL without MoCA oversight. “There is a need to change the Allocation of Business Rules in order to bring rules in line with reality”, points out a senior MoD official. The truncated version of the Lieutenant General Henderson Brooks report (HBR) that was recently posted on the internet by Australian author and journalist, Neville Maxwell, constitutes the Indian Army’s sweeping enquiry into its only major military debacle, at the hands of China in 1962. Since it was submitted to army chief, General JN Chaudhuri, in 1963, the report has been buried, still retaining its “top secret” classification. It is a tale of skewed civil-military relations and bumbling strategic direction, and of inconceivable military incompetence at higher levels of command. 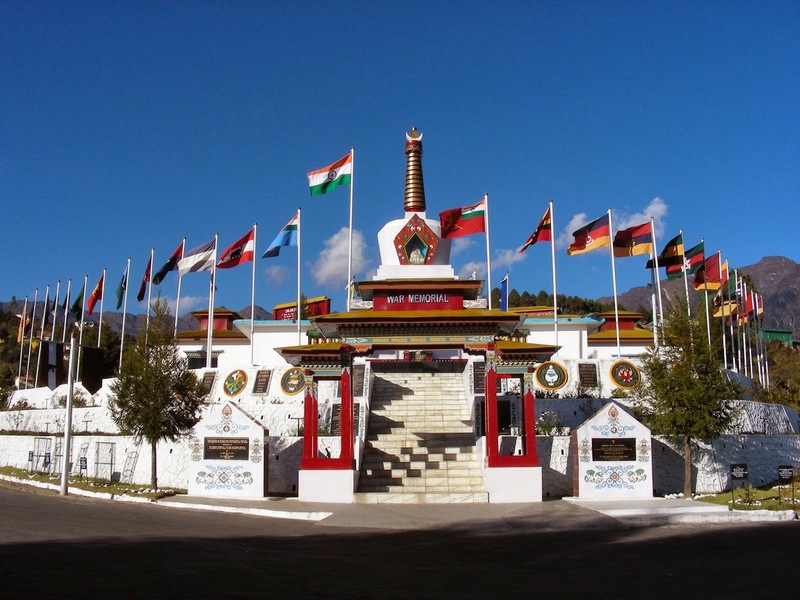 Even so, the most telling account in the 144 pages of the HBR blogpost is that of the Namka Chu, the mountain torrent west of Tawang where the war began, and where India’s 7 Infantry Brigade was wiped out in hours, triggering a rout that ended a month later with the Chinese Army poised at the threshold of Assam. 7 Infantry Brigade was rushed to the Namka Chu as a consequence of the “Forward Policy”, which moved 56 Assam Rifles platoons to the McMahon Line to demonstrate Indian presence on the disputed border. Eastern Command issued instructions for the move on January 10, 1962. One of these new posts was Dhola Post, which eventually triggered the war. In one of the HBR’s revelations, it emerges that Dhola was accidentally established on China’s side of the McMahon Line. For 52 years, India has held that by attacking Dhola Post, China committed aggression and started the war. 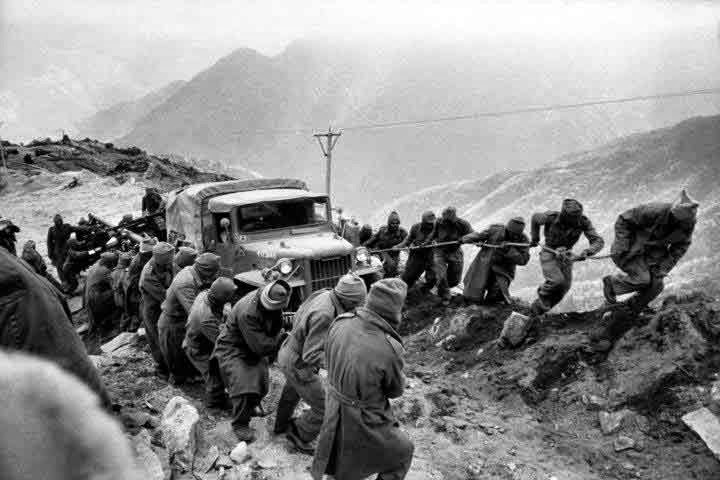 This changed on February 24, 1962, when Tezpur-based XXXIII Corps, commanded by the respected Lt Gen Umrao Singh, ordered nine new border posts, included one between Tawang and Bhutan, at the Tri-Junction of Tibet, Bhutan and India. This post became famous as Dhola. Discrepancies in the maps available then depicted an arbitrary border running due west from the border outpost of Khinzemane to Tri-Junction, rather than the watershed boundary that constituted the McMahon Line. Operating with those faulty maps, Captain Mahabir Prasad of 1 SIKH established Dhola Post on June 4, 1962, on what Henderson Brooks reveals was China’s side of the McMahon Line. The countdown to war had begun. The day after Dhola Post was surrounded, the ill-fated 7 Infantry Brigade was ordered to the Namka Chu, while the Chinese too intensified their force build up. 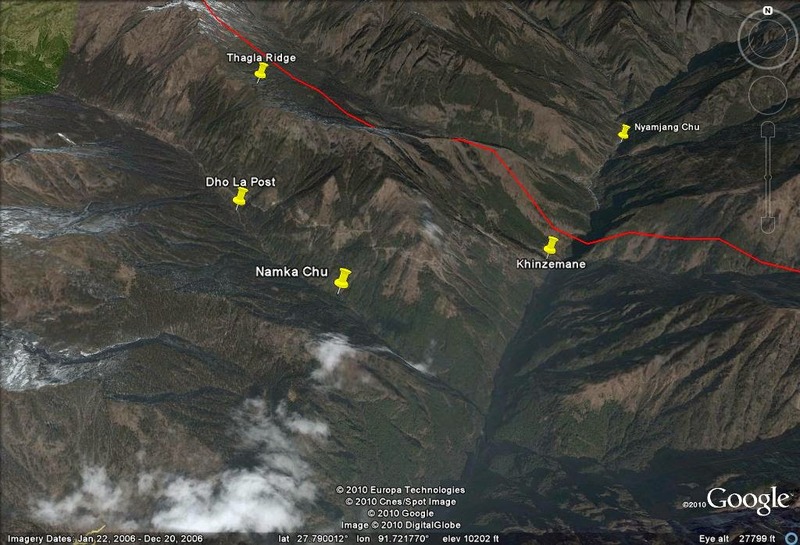 The HBR blogpost notes, “In fact, their build up behind the THAGLA Ridge was far greater than ours.” On September 20, the first exchanges of firing began in the Namka Chu valley. Meanwhile, laughably given that India knew about China’s build up in the area, XXXIII Corps formulated a plan to evict the Chinese from the area of Dhola Post, using three infantry battalions to attack across the Namka Chu. This was to begin earliest by October 10. On October 4, Army HQ announced the formation of IV Corps, bringing Lt Gen BM Kaul in direct command of the operations. 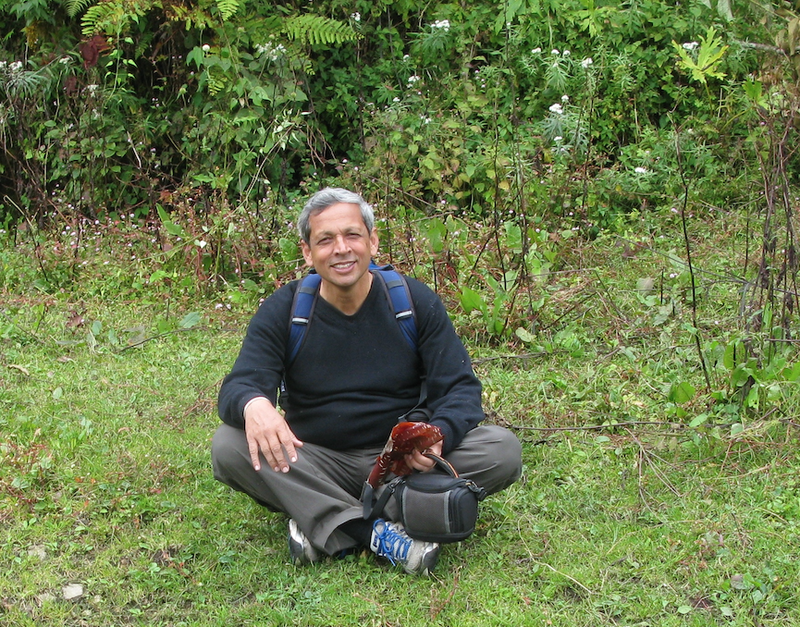 The HBR blogpost recounts how Kaul personally moved from headquarters to posts, railroading 7 Brigade to the tactically and logistically unviable Namka Chu positions, with just 50 rounds of ammunition per man, one blanket, no winter clothing, and without even minor medical supplies. This surreal form of command continued till October 17, when Kaul took ill and a special plane from New Delhi, with medical specialist on board, flew him back to the capital. The recent internet posting of what Australian author and journalist, Neville Maxwell, claims to be the “top secret” Henderson Brooks Report --- the army’s long suppressed inquiry into the military defeat by China in 1962 --- has become an opportunity for many. For Maxwell himself, it has --- unwittingly or by design --- created a swell of free publicity for a new edition of “India’s China War”, Maxwell’s controversial book, which has recently been re-published in India. Dismissed by some scholars as pro-China propaganda and acclaimed by others, Maxwell’s book is now squarely in the spotlight. Jaitley does not clarify why the BJP did not declassify and release the report whilst it governed India from 1998-2004. Finally, the UPA government has cited “national security” to avoid comment. The defence ministry has termed the report “extremely sensitive” and claimed that its contents are of “current operational value”, echoing what Defence Minister Antony told parliament on April 19, 2010 to justify keeping the report secret. For Lt Gen TB Henderson Brooks, identifying lessons from the 1962 debacle for the army and the country to benefit from was one of his key objectives after being appointed by army chief Gen JN Choudhuri on December 14, 1962, to probe into the operations. Yet, even today, the absence of a measured discussion continues to ensure that important lessons from the run up to 1962 remain unlearnt. With a jittery political leadership sweeping the HBR under the carpet, those lessons never reached the army’s rank and file. The only two copies of the report in India remained locked in safes --- one in the army, the other in the MoD. There are further lessons listed in the first part of the HBR blogpost, many of them as valid today as they were in 1962. This observation rings startlingly true even today. When the Chinese army intruded into Daulat Beg Oldi last year, India’s reaction and troop movement was severely constrained since the road to that sector is incomplete even today. China has certainly learnt its lessons, overcoming the challenge of accessing the Tibetan plateau. In 2006, the 1,956-kilometre Qinghai-Tibet railway was completed; which supplemented three road highways leading into Tibet from Qinghai, Chengdu and Xinjiang, which were built in the 1950s. Currently, work is under way on another railway line from Chengdu to Lhasa. This military willingness to vacate large tracts of territory without a fight (ahead of the Ladakh Range), in order to give battle to China from tactically favourable terrain (like the Ladakh Range), contrasted starkly with the political leadership’s insistence on occupying and defending all the territory claimed by India. There was, evidently, a major disconnect between a political leadership on the one hand that wanted every inch of Indian territory defended, even without the military and material resources to do so; and, on the other hand, an army steeped in the World War II experience of deep withdrawals and long advances, many of which were in other countries, without the emotional baggage of defending ones own territory. Like most generals of that time, Henderson Brooks appears unable to notice, far less bridge, this divide. Lieutenant General TB Henderson Brooks was clearly worried that his inquiry into the army’s 1962 defeat at the hands of the Chinese might be made into a whitewash job that confined itself to minor tactical questions, while ignoring the bigger issues --- questions of higher defence management --- that had actually led to national humiliation. That worry is evident from the very start of the “top secret” Henderson Brooks Report (HBR), large chunks of which have been posted on the internet by former journalist and author, Neville Maxwell, now settled in Australia. Despite those apprehensions, or perhaps because of them, Henderson Brooks and his co-author, the iconic, Victoria Cross winning Brigadier PS Bhagat, boldly stretched their mandate to investigate and point out flaws in the political and top military handling of the run-up to and conduct of war. In the very first page of his report, Henderson Brooks makes the startling disclosure that the army chief --- General JN Chaudhuri, who was appointed after the 1962 debacle led to the resignation of his predecessor, General PN Thapar --- advised him not to review the functioning of Army Headquarters (AHQ) while carrying out his inquiry. Henderson Brooks believed that excluding AHQ from his investigation would mask crucial events and paint an incomplete picture. He says it would have been “convenient and logical” to begin tracing events from AHQ, through command headquarters, to the field formations that actually did the fighting. Henderson Brooks remained determined not to let that happen. He doggedly scrutinised AHQ decisions, if not through AHQ documents, then through written orders, instructions and minutes that AHQ issued to Headquarters Western Command (HQ WC) and Eastern Command (HQ EC). It remains unclear why General JN Chaudhuri restricted the scope of Henderson Brooks’ “operations review”, as the inquiry ordered by the army chief on December 14, 1962, was termed. Not only was AHQ placed off limits for Henderson Brooks, his mandate was skewed towards just one part of the war --- the Kameng sector, around Tawang. According to the HBR blogpost, Henderson Brooks was ordered, “to go into the reverses suffered by the Army, particularly in the KAMENG Frontier Division of NEFA”, i.e. the Tawang sector of the North East Frontier Agency. He was to enquire into tactical issues --- specifically what went wrong with training, equipment, system of command, physical fitness of troops, and the capacity of commanders at all levels to influence the men under their command.